Fuel consumption | What Car? 25 The lighter and more aerodynamic your car, the more fuel efficient it is. Take off bike racks and roof boxes, close windows to reduce drag and remove everything from the boot that you dont need and you will save fuel. 26 Check your cars tyre pressures regularly. If theyre a bit low the tyre creates a lot of extra drag, so pump up tyres to cut fuel consumption and save cash. Having your tyres at the correct pressure means youll drive more safely, too. 27 Dont skip servicing. Having filters and oil checked and replenished at the right intervals will mean a more efficient engine. Regular checks will also identify faults so you can deal with them swiftly. 28 Reducing your speed by just 10mph on the motorway will reduce your fuel consumption. In our own tests, a 1.6-litre diesel Ford Focus consumed 17% more fuel at 80mph than at 70mph. Its tank range fell by 100 miles, too. 29 Look farther ahead. That way youll see traffic build up, traffic lights or pedestrians stepping out much earlier. This gives you the ability to drive more consistently and avoid heavy braking and acceleration, saving you fuel and cash. 30 Change up through the gears as early as you can, without labouring the engine. Many new cars come with a gearshift alert to tell you when its best to change up. 31 Be your own stop-start system. If your car doesnt have a system fitted, switch off your engine if it looks like youre going to be at a standstill for more than a minute. 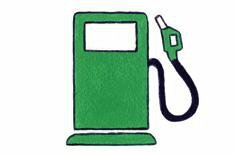 32 Find the cheapest fuel at Petrolprices.com.. There are also plenty of smartphone apps that will do the same job. Never fill up at motorway services, where prices are always inflated.